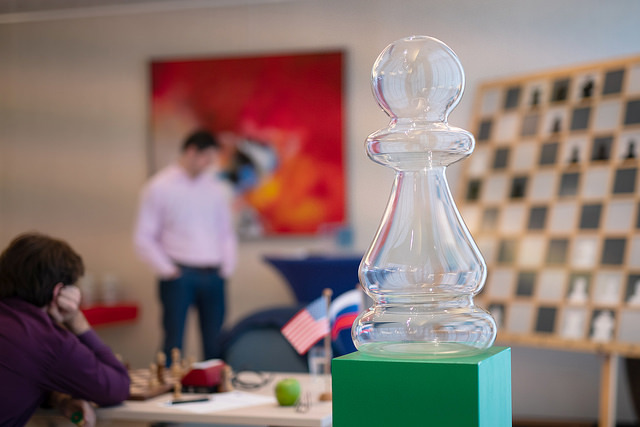 Peter Svidler and Sam Shankland both won with the white pieces as their 6-game classical match at the Hoogeveen Chess Tournament got off to an explosive start. Svidler managed to hold with Black in the third game to keep the scores level at the halfway stage, while the other match, between Vladimir Fedoseev and Jorden van Foreest, is also level. Surprisingly, for a match between such aggressive players, all three games there have been drawn. On paper, i.e. the October FIDE rating list, Peter Svidler is a clear favourite for this match – at world no. 16 and a 2756 rating he’s 12 places and 34 rating points ahead of Sam Shankland. 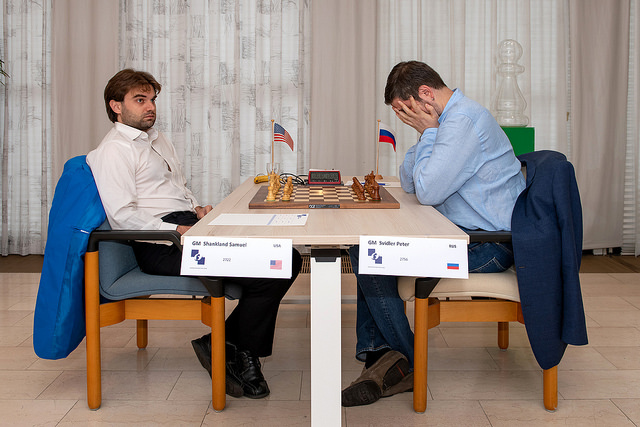 A lot can change in a few weeks, however, and although Svidler’s team won the European Club Cup in Greece he could personally repeat the words of an old Greek: “another victory like that and we’re done for”. Peter dropped 22 points, Sam had a good Olympiad, and it meant that they were actually close enough to swap places on the live rating list after the first game. 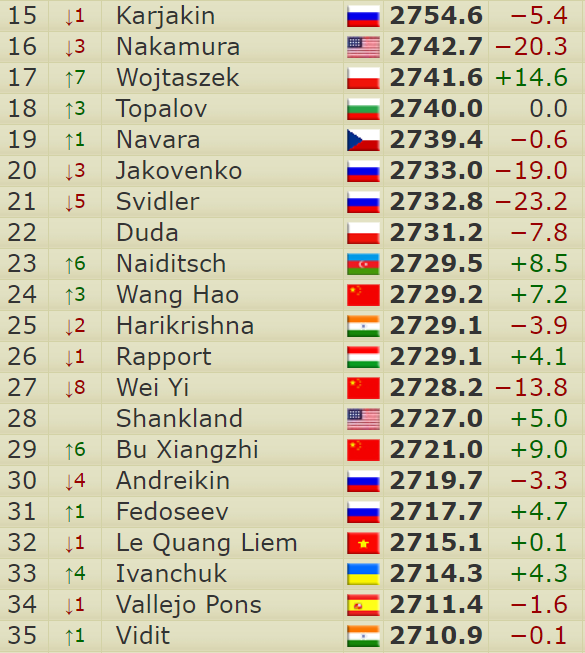 It also didn't look out of the question that Sam could overtake Hikaru Nakamura before the week was over. Given Peter’s last tournament had started with four losses in a row, he may have feared the worst – was his only career option ahead to work in PR? 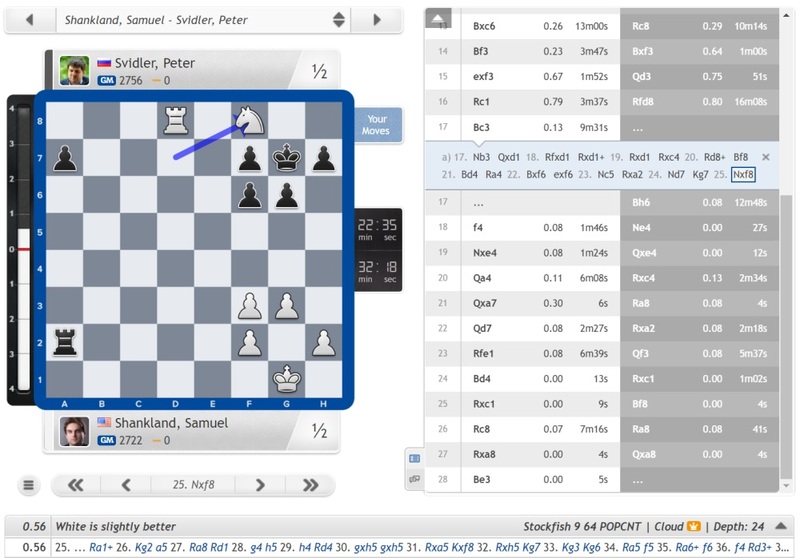 Peter Boel reports that Svidler later commented, “in the first game Sam played much better, in the second I played slightly better”, only for Sam to correct that to “much better” as well. Here Svidler was able to force matters with 17…Bh6! 18.f4 Ne4! and the queenside was soon vacuumed up until the game ended in a draw on move 28. The move the computers had based their optimism for White on was instead 17.Nb3! 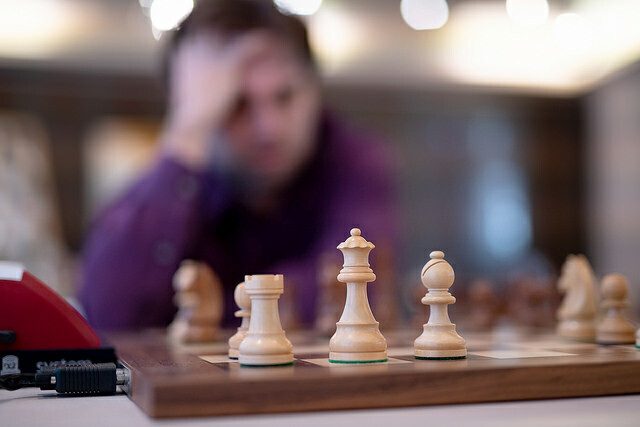 ?, a move Svidler said “looked scary”, only for Shankland to respond, “but it doesn’t work”. It seems he was correct, as in the long line he gave White does emerge with an extra knight, but it’s got no way back into the game and will have to be sacrificed to stop Black’s a-pawn. I was in a bit of time-trouble and panicked a little. In the end I held the game, but I don't know if it was because of my good defence or because of his bad play. 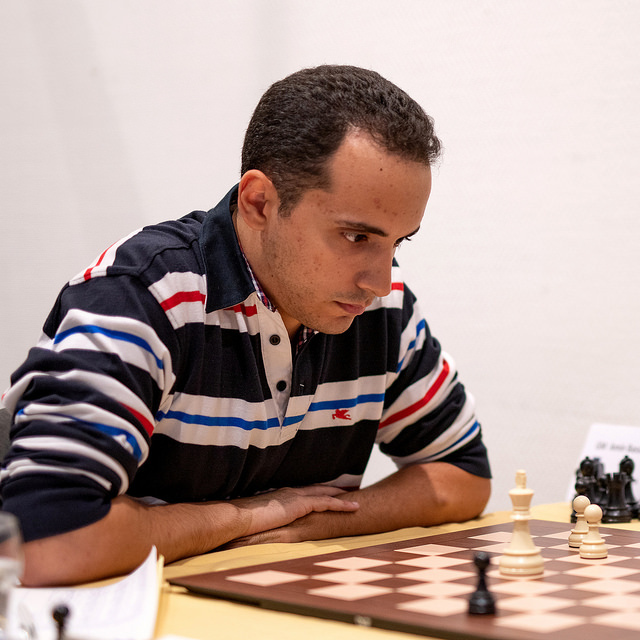 In Game 2 it was Jorden who had chances for more, while in Game 3, although Fedoseev felt he was doing better, our silicon friends claim the game never left equality. We can expect more action in the coming days!